There is a lot of misinformation out there about what’s causing the decline of pollinators and honeybees in particular. Experts continue to study this issue using science as their guide and while they do, there is a lot everyone can do to help. Fill your garden with native plants. A local garden center or landscape professional can assist you with plant selection. Plant flowers with varied shapes and with a rich abundance of color as different pollinators are attracted to different colors. For instance, butterflies are attracted to red, orange and yellow while hummingbirds prefer red, fuchsia, and purple. Consider exotic plants as those are often power-packed with nectar. Plant masses of flowers so the birds and insects can see the buffet you have prepared for them. Plant garden herbs, such as basil, rosemary and lavender, which provide good nectar sources for pollinators, and also provide herbs that you can use. Include white and cream-colored plants, particularly those that bloom at night – like morning glories - so those pollinators that forage at night can more easily see plants illuminated by the moon’s light. Consider planting milkweed to provide food for monarch butterflies and caterpillars. Here's a short list of some pollinator favorites to get you started: Bee Balm, Cardinal Flower, Chrysanthemums,Columbine, Delphinium, Penstemon, Pincushion Flower, Salvia, Verbena, and Dianthus. If you are using pest or weed control products, follow the label instructions as misuse of products can be harmful to pollinators (and the environment). The labels explain proper use practices that are consistent with the Environmental Protection Agency’s product registration. Simply put, the label is your guide to using the right product in the right amount for the right application. Landscape professionals understand the necessity – in fact, the law - of following all label instructions, and in many instances, take extra precautions even beyond what is required by law. Join them in doing all that is possible to protect pollinators. Landscape professionals take the environment and its stewardship seriously; after all, enhancing the environment is their job and their passion. The work done by professionals benefits pollinators on a daily basis as the flowers and shrubs they plant provide essential nutrients for pollinators. Many take that commitment further by teaching children and others in their communities about the importance of protecting pollinators while others are leading by example in planting their own pollinator friendly gardens and encouraging neighbors to do the same. 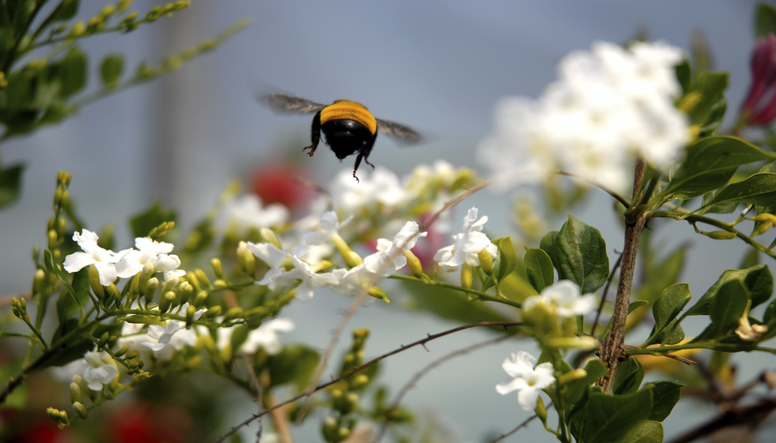 Landscape professionals are trained in and adhere to best management practices that protect pollinators. To learn more about how your landscape can welcome pollinators, contact a local landscape professional.